This one-of-a-kind digital book contains forms and checklists for every one of your practice-, game- and program-management needs — including organizational tools you’ve never even thought about! A total of 20 chapters in this book (ideal for printing forms) offers you 134 of the very best football forms collected and created throughout the author’s coaching career. This book also includes completed examples of most forms so you can see precisely how you and your staff can put them to use! Once you see how this book helps you organize your workload and save time, you will wonder how you ever coached without it. 304 pages. No part of this book in whole or part may be reproduced without expressed written consent by the author. This book is dedicated to my great friend Jim Click Junior. You always have been and always will be a great friend. Thank you for purchasing The Ultimate Guide to (Almost Every) Defensive Formation and their Basic Schemes! Over the years as a coach and student of the game of football, I have learned about many formations, systems, and schemes on offense, defense, and special teams. What has brought me to writing and publishing this book is that there are no books dedicated to just formations. 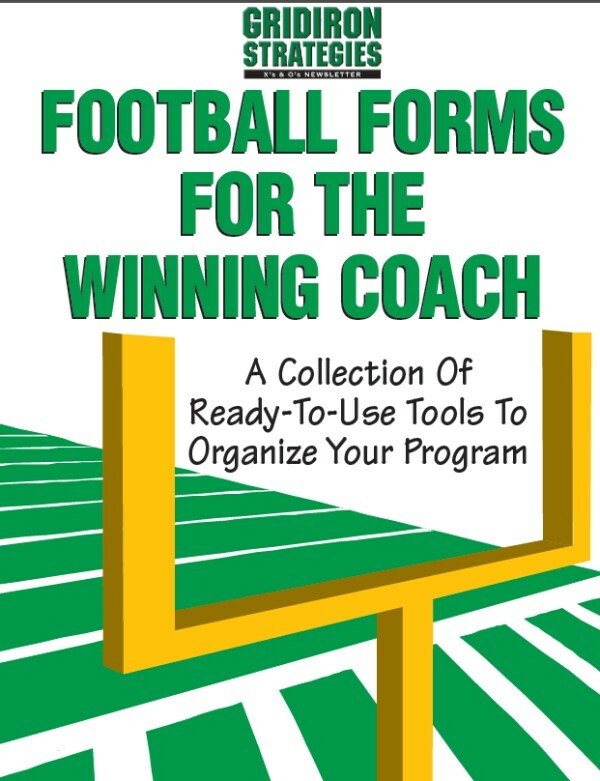 However, in this book I also wanted to include the basic schemes of the many defensive formations so coaches can see their strengths and weaknesses. It should be noted that this should not be considered a complete playbook; most teams will use a 30 front, 40 front, or 50 front and throw in one or two other formations-using a bunch of sets that you don’t have personnel for is not a good recipe for success in football. Defensive Line Techniques and Shades! Andrew Brown has coached football for three years at two high schools and one at a junior high. He is currently teaching in the Tucson Unified School district as an early childhood pre-school teacher. Coach Brown can be reached at acbrown01@yahoo.com. The Ultimate Guide to (Almost every) Offensive Football Formation!